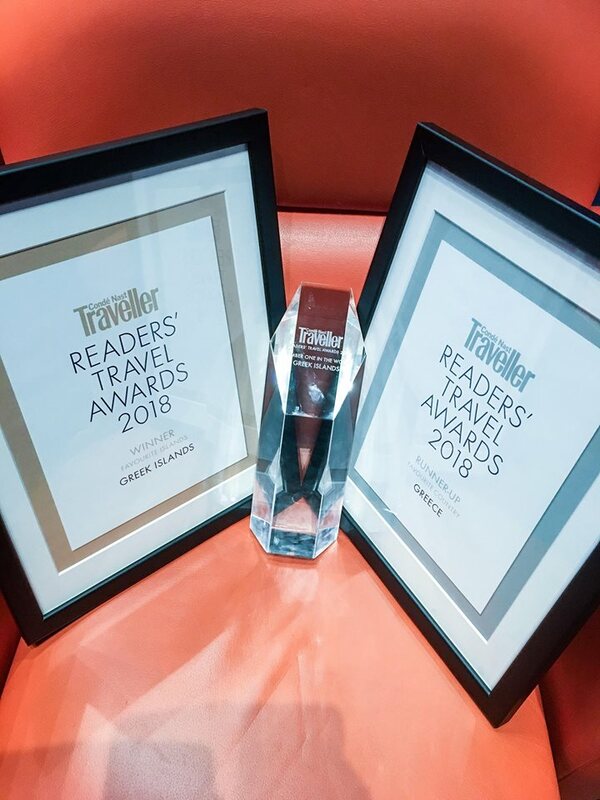 With two major distinctions and three awards in total, Greece triumphed at the annual Condé Nast Traveller 21st Readers’ Awards 2018 ceremony, held in London. The 1st place and top prize of the “The World’s Top 100”, having earned the most votes (95.63%) from the readers of all categories for the Greek islands, and the enthusiastic applause of the guests at the gala. The 2nd place in the “Best countries/ Favorite Countries” category. Mrs Emmy Anagnostopoulou, the head of the Greek National Tourism Organization Office of United Kingdom and Ireland, attended the gala and received the three awards.